Wicked Uncle Blog » Bath Toys » The Best Bath Toys For Kids Who Hate Bath Time! Girls and boys will love creating their very own floating race track in the bath. This great set has 36 pieces of racing fun including track, two squirting race cars, a winner’s trophy and a pit stop. The floating pieces can also stick to tiles, and everything can be stored away in a mesh bag until the next Grand Prix. A great gift for 3 year olds or older. 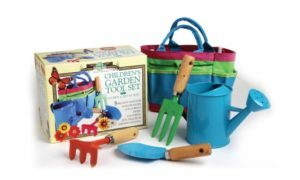 This brightly coloured 8 piece set is designed for brilliant bath time fun. There’s a shark mouth net and 7 floating fish for kids to catch. 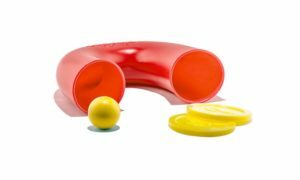 This toy is great for splashy fun, and can help children learn to count and identify colours, too. Who knew education could be so much fun? This lovely bath toy from Hape is sure to cheer up any bath time. Feed the hungry frog through the shape sorter with the snail, bee, butterfly and ladybird, learning about different shapes. He’s super cute and suitable for anyone 1 year old and up. Froggy bath fun for boys and girls. Perfect for a quacking bath time, this novelty towel is made from super soft lightweight microfibre. Great for a everyday use, it’s not only colourful and cute looking, it’s quick drying and folds up very small. Bath times are guaranteed to be so much more fun with this vibrant eye catching towel, and it’s great for beach days, too. The cutest of bath buddies, this adorable little chap is very popular with 5 year olds, who seem to like his sweet expression. He is company in the tub, and as the bath fills and the warm water touches his tummy, he lights up with a soft white light for ultimate fun. He happily bobs along, floating gently among the bubbles. Perfect for a dog lover – a smug pug plug cute enough to hug! Check out our full range of bath toys here! How do you know that there’s a monster in your bath? You can’t get the shower curtain closed. 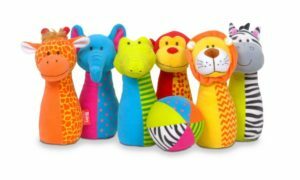 PREVIOUS STORYWonderful Wooden Toys for Toddlers – Not Plastic, Fantastic!